Joseph Patrick Grim, 80, of Pleasant Grove passed away Wednesday, August 15, 2018 at Utah Valley Regional Medical Center after a long battle with heart failure. He was born November 17, 1937 in Rugby, North Dakota to Dee Forast and Emelia Grim. He was the seventh of ten children. Joe spent his childhood in Fargo, North Dakota where he attended and graduated from Shanley High School. 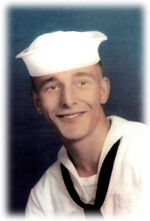 After graduating he joined the Navy and was stationed on Midway Island and Barbers Point Naval Station on Oahu for four years. He served in the Naval Air Force and flew the DEW line as a navigator/radar operator. During his service, he met his wife Connie at Tripler Army Medical Center in Honolulu, while recovering from a ruptured appendix. They were married at St. Francis Catholic Church in Provo, Utah in 1958. After the military he earned his Master’s degree from San Jose State and did his graduate work at UC Davis. 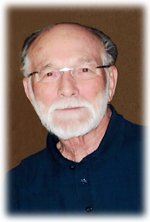 He taught Chemistry at Sacramento City College for thirty-one years. In 2001 he retired and they moved to Pleasant Grove, Utah to be close to their children and their families. Joe loved to golf and cherished the friendships he made. He was a skilled artist whose artwork was loved by family and friends alike. His grandchildren and great grandchild were his greatest joy. He will be greatly missed. He is survived by his wife Connie and their three daughters, Domonique (Randy) House, Michelle (William) Jenkins, Yvette (Ronald) Marley, three grandchildren and six great grandchildren. He is preceded in death by his parents, five brothers, one sister and three great grandchildren. Funeral services will be held Saturday, August 25, 2018 at 1:00 p.m. at Olpin Family Mortuary, 494 South 300 East, Pleasant Grove. Family and friends may attend viewings Friday evening from 6:00 - 8:00 p.m. at the mortuary and on Saturday from 11:30 a.m. - 12:45 p.m. prior to the service. Interment will be in the Pleasant Grove City Cemetery. Condolences may be sent to the family at www.olpinmortuary.com. The family would like to thank all the doctors, nurses and staff who provided loving care to Joe over the past year.